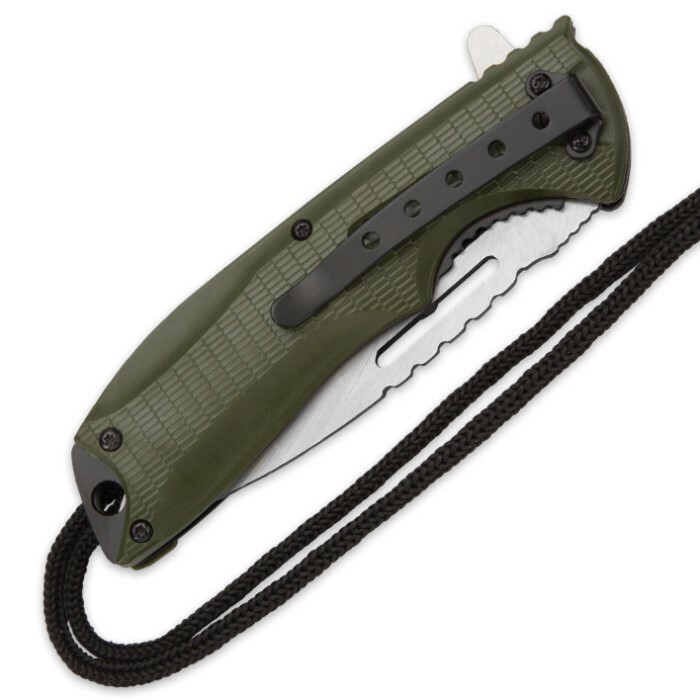 SOA Scout Assisted Opening Pocket Knife - OD Green with Black Paracord Wrapping | BUDK.com - Knives & Swords At The Lowest Prices! 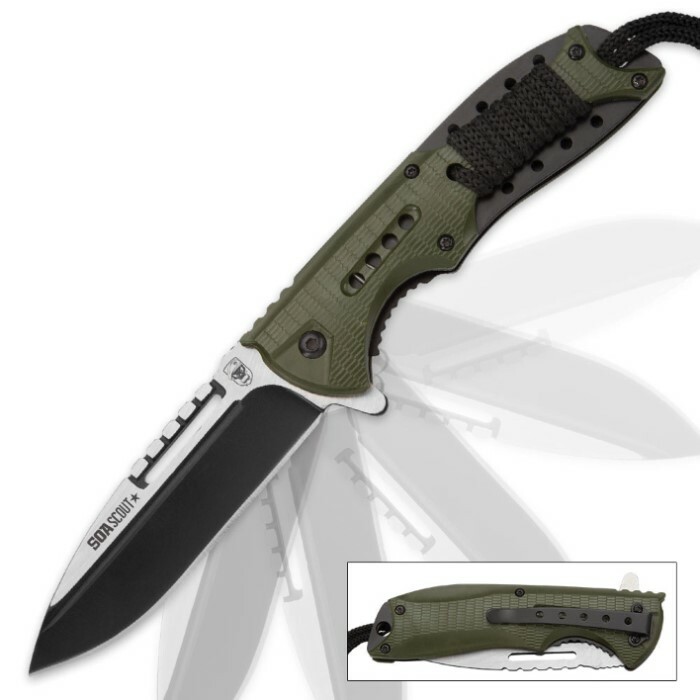 Absolutely love this knife, it's very durable and has a good blade. I, personally, don't care for the paracord though. Wish it was easier to get rid of it. I ordered a few of these as gifts. The blade is razor sharp. The action is fast, smooth and secure. Good locking mechanism to keep blade secured in the open position. 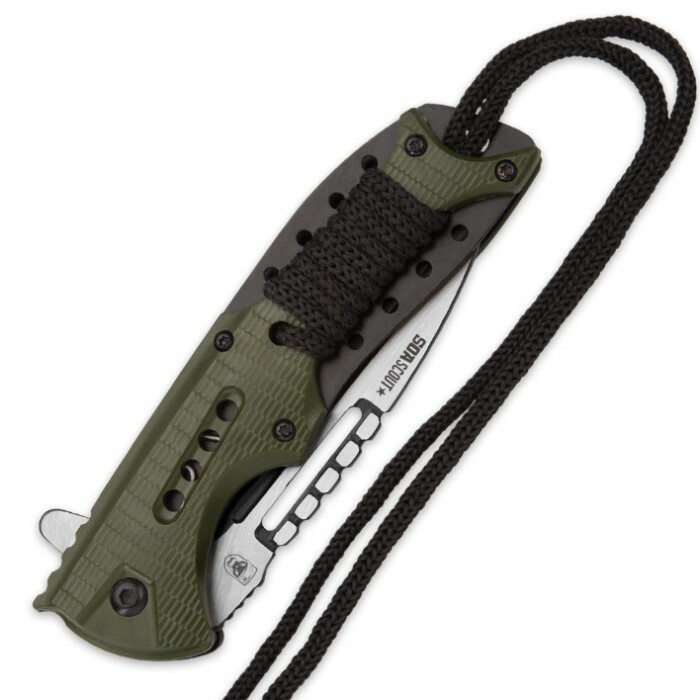 This is a good emergency knife and a good item to keep in your truck. Good value for the money. Excellent knife for the price. Came already razor sharp and ready to use. Its my favorite companion to my multi-tool for my EDC. Would recommend it to my friends and anyone who collects knives. I received this knife through the $13.99 mystery bag and it's not bad at all . The only problem I have with it is that the one I received doesn't have makers marks on it like in the display pictures, Overall not a bad buy .